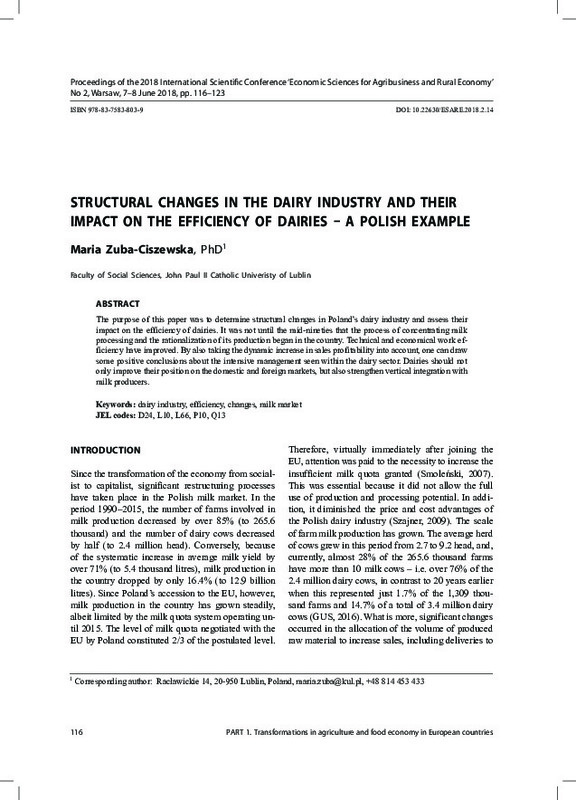 The purpose of this paper was to determine structural changes in Poland’s dairy industry and assess their impact on the efficiency of dairies. It was not until the mid-nineties that the process of concentrating milk processing and the rationalization of its production began in the country. Technical and economical work efficiency have improved. By also taking the dynamic increase in sales profitability into account, one can draw some positive conclusions about the intensive management seen within the dairy sector. Dairies should not only improve their position on the domestic and foreign markets, but also strengthen vertical integration with milk producers.